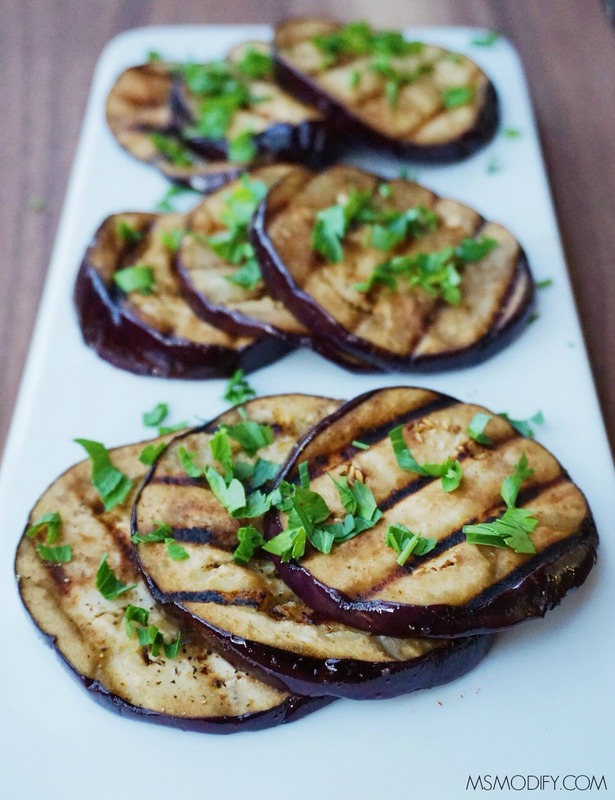 This grilled balsamic eggplant makes for the perfect quick, yet healthy side dish all summer long! 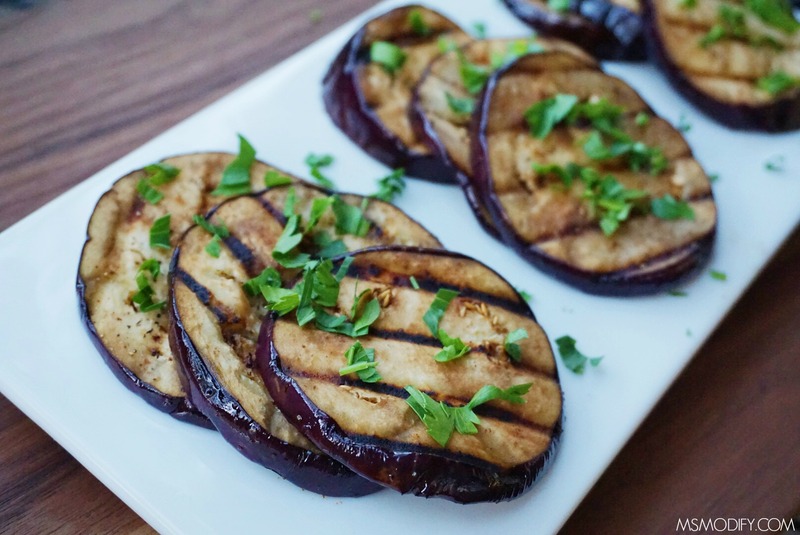 Grilled vegetables are a staple side dish in our house during the summer, and eggplant happens to be a favorite of mine. 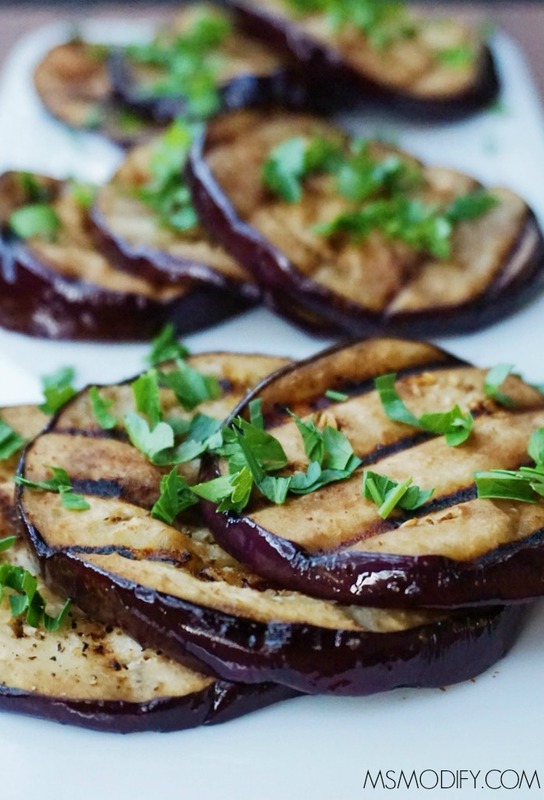 This grilled eggplant recipe is so quick and easy to make. I typically double or triple the recipe and save the leftovers to use on salads throughout the week! This method can be used with other veggies, just adjust the grilling time as needed. The longer you let the eggplant marinate, the bolder the flavor will be, so play around with the time based on your personal preference! Slice eggplant into ¼ inch rounds. In a small bowl combine olive oil, vinegar, garlic, oregano, salt and pepper. Add eggplant and marinate to a Ziploc bag (or shallow pan) seal and allow to marinate for about 15 minutes. Heat your grill (or grill pan) to medium high. Lightly oil the grill grates. 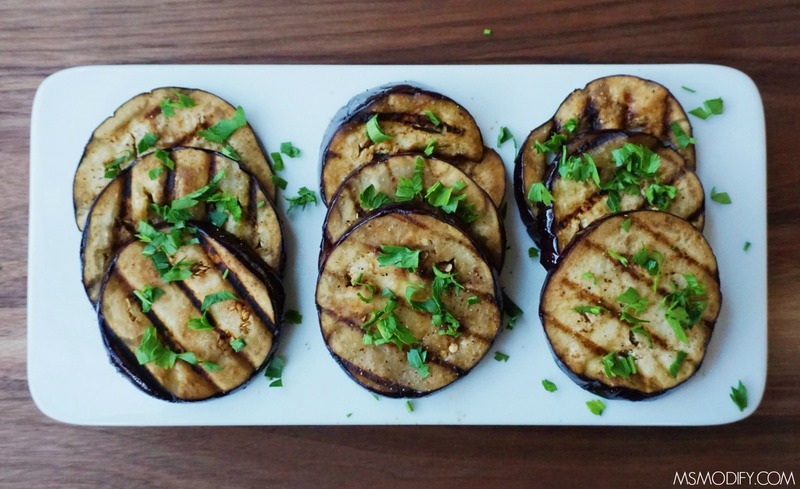 Add eggplant to the grill for about 3 minutes per side, or until grill marks appear and eggplant is cooked. Remove from grill, brush on any leftover marinate and top with fresh parsley. 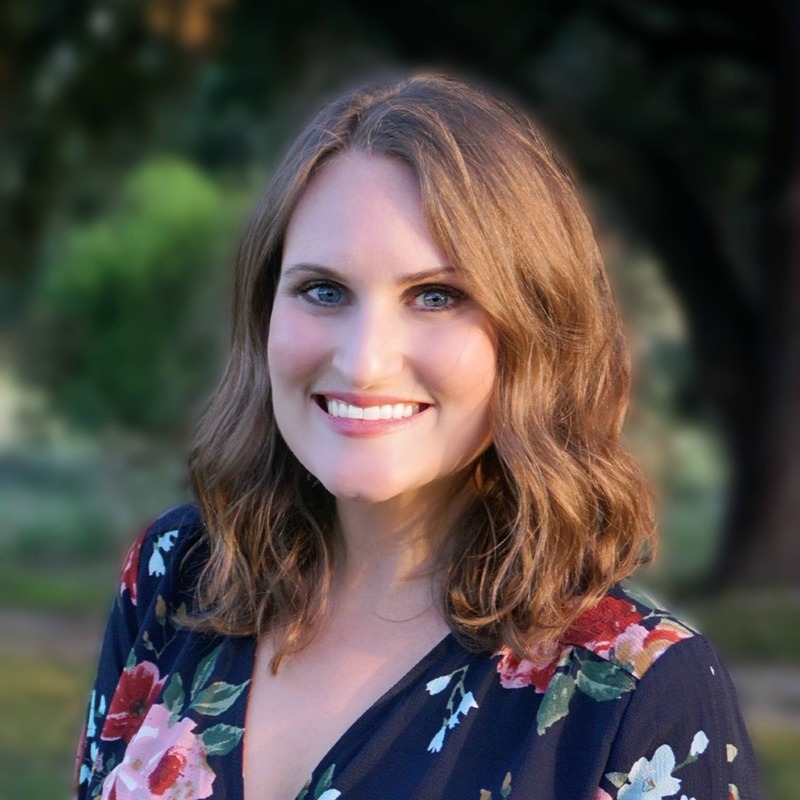 This entry was posted in Recipes/Dining Out and tagged grill, side dish, vegetables. How can you be sure if the balsamic vinegar is GF? I’m afraid to use it. I use Pompeian brand and it says gluten free on the back of the bottle. I’ve used this brand for years and have never had an issue and I’m extremely sensitive. I love their red wine vinegar too! Thank you. I’ll look for it. I have a bottle of unopened Alessi “raspberry blush” that I’ve been afraid to use and probably never will.